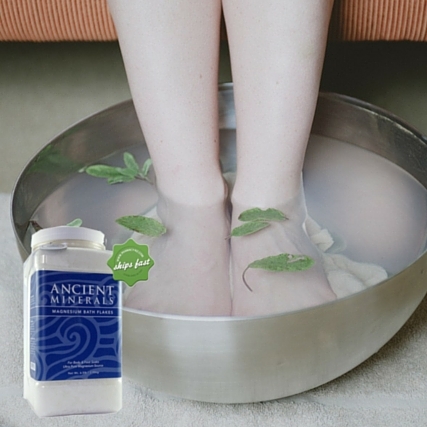 Ancient minerals magnesium flakes 750g can be dissolved in water to form a bath or foot soak. This is a great alternative to oral magnesium supplements as you absorb magnesium through the biggest organ in the body - the skin ( also known as transdermal magnesium therapy). Easily assimilated by the latest and most efficient organ we posses - our skin. Ideal for children and other sensitive individuals. Suitable for use on sensitive skin as you control how much you put in the tub. 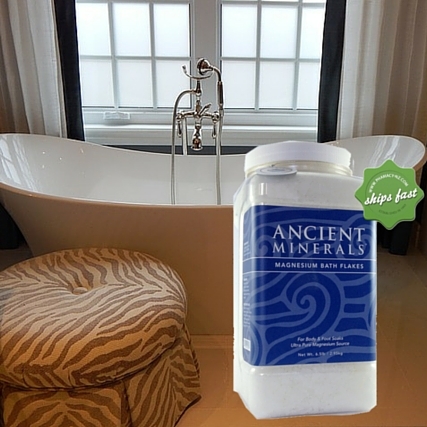 Ancient Minerals Magnesium Chloride comes from one of the purest untouched sources in the world. It comes from almost 2 miles deep beneath the earths crush from the Ancient Zechstein Seabed in Northern Europe. Because it is not man made it is free from heavy metals and the only thing you will find in the bottle is magnesium chloride and other naturally occurring trace minerals. 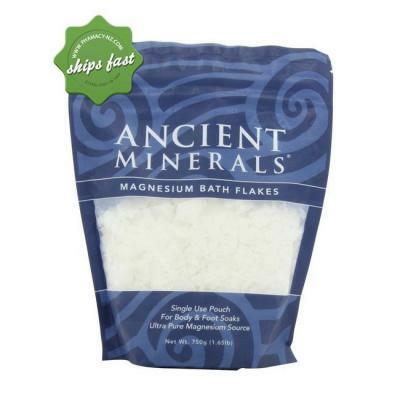 Genuine Zechstein Magnesium Chloride Flakes (and other naturally occurring trace minerals). Approximately 15g elemental magnesium per cup. Ultra pure magnesium chloride flakes can be dissolved in warm water for a restorative and relaxing bath or foot soak or to make a magnesium chloride solution. What makes ancient minerals magnesium so special? For 250 millions years Genuine Zechstein magnesium salts have been isolated and protected at 1600 - 2000 meters deep in the interior of the earth as part of the Ancient Zechstein Seabed in Europe, kept pure and untouched. This makes it one of the purist and most pristine sources of natural magnesium chloride in the world. NOTE: Always look at the source of your supplements and where they come from as this can play a part in the amount of man made pollutants they are exposed to. Who might magnesium flakes be good for? If you have sensitive skin - magnesium flakes are your best choice because you control the dilution of the magnesium chloride on your skin to avoid any stinging. Perfect as a relaxing and restorative bath after a gym, snowboarding, cross fit or yoga session. Great if you are worried about losing magnesium during the digestion of oral supplements.